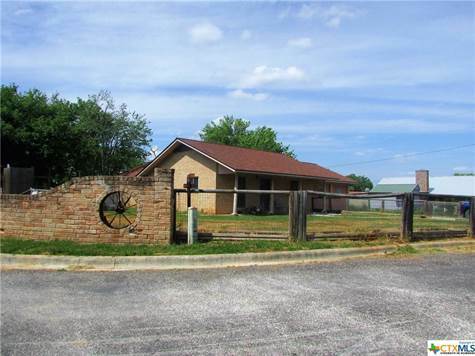 A beautiful large fenced corner lot surrounds this 3/2 brick home in Luling! Two living areas! HVAC replaced in 2017! Roof replaced in 2017. Septic pumped and top replaced in 2019. Fresh paint in all bedrooms and both living areas. Large utility/laundry room. Kitchen appliances convey. Covered porch. Concrete patio slab. Mature trees.